TRUE BLACK!!!! Regular price 10,000!! Midge is Wanting to be a Mom!!! BoJangle is a Med. Rose Grey with White markings. Bo has remarkable density and fine crimp. Bo is a proven sire, and has done our ranch proud. 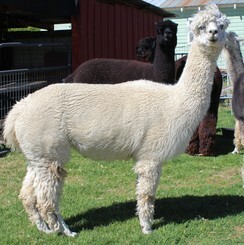 BoJangle has sired several crias, colors are: 1 Dark Silver Grey, 2 Med. Fawn with Grey in the blanket, 3 whites. TNT is a Blue ribbon winner. TNT has had 5 pregnancy's. 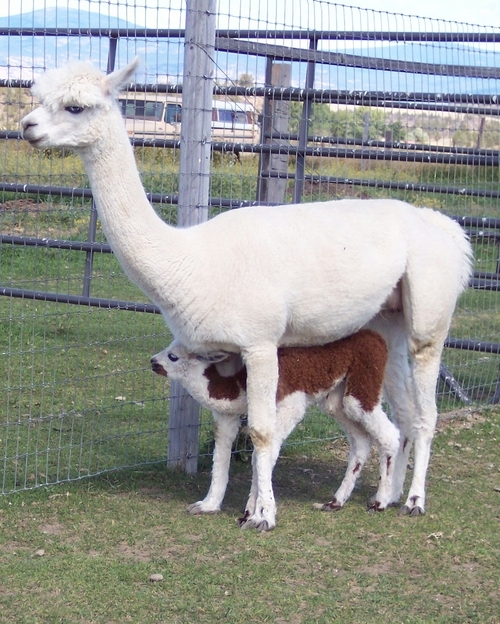 Giving birth to 4 single cria births and birthing a set of LIVING TWINS!! TNT with a single breeding, carried her twins for a whopping 340 days!! The twins never lost an ounce after their birth. TNT is a good Mom and is a fantastic milk producer. She kept up with her milk for 10 months for her twins. "Harry & David". Fuego's Tiger Woods is their Sire. Arctic Fox has extreme white fleece!! We have called her Sugarfoot since she was born. After her first shearing we decided to have her Registered name as Bo's Arctic Fox, because she looked so Foxy and her fiber glissened like snow. 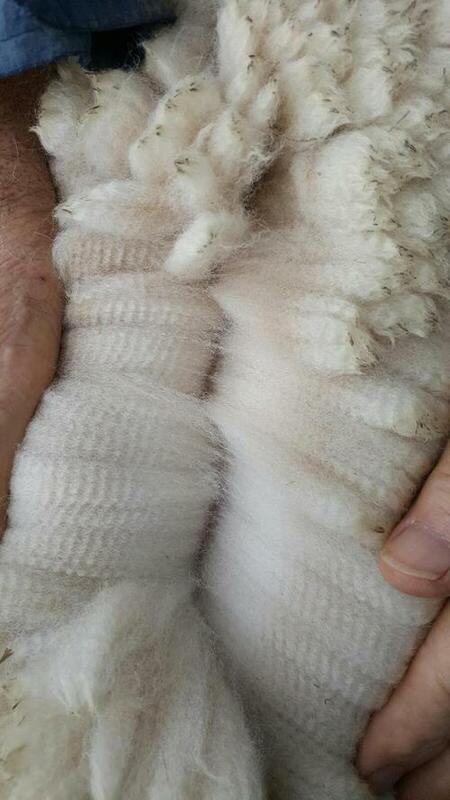 Sugarfoot's fleece is like no other white fleece that I have seen. Her white fleece has a pearl essence look to it, with a structured tight dense crimp, long staple length, and a velvety soft handle. She always stands proud. We sell out after she is shorn on her raw fleece ,to our local spinners. We also sell out on "Spring Fling's" raw fleece. They both have that fleece that doesn't to be dyed or altered in any way. The yarn from both females make the most beautiful yarn. Sugarfoot has a strong sturdy, well proportioned frame, long bodied, with straight legs. She has a very gentle disposition and loves to snuggle. She is a proven female, great milk producer and is one that catches the eye of all who visit our farm. She is very special in our hearts. 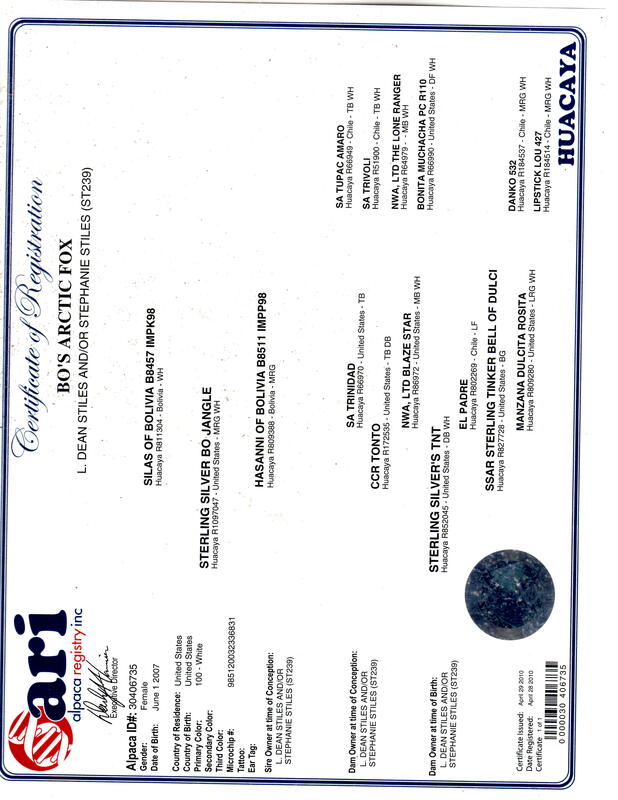 Bo's Arctic Fox is a 1/2 Bolivian Beauty!!! 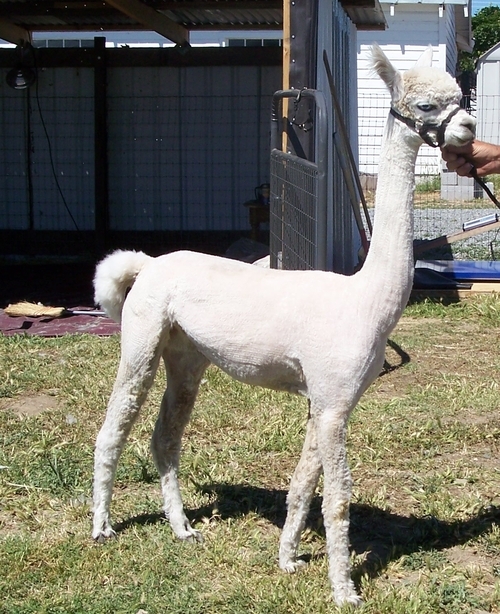 Sugarfoot just had her 2014 cria very early Sept 10, 2014...It's a Girl!! born early because of a 1 1/2 months of forest fire smoke!! Cash, money orders. No Credit cards please. 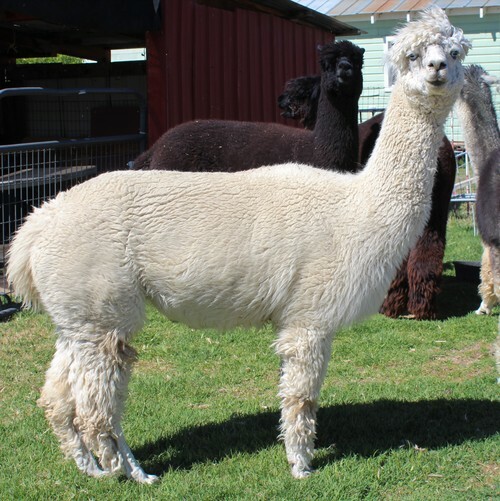 Purchaser assumes all boarding fees and Vet care until the alpaca or alpacas are paid for and moved to their new home. 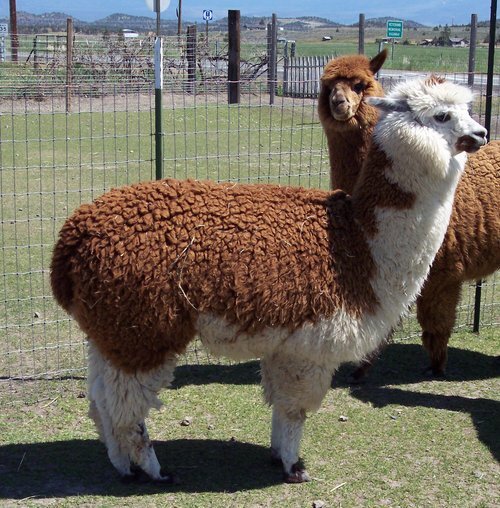 Purchaser should provide alpaca insurance on each animal until paid in full. 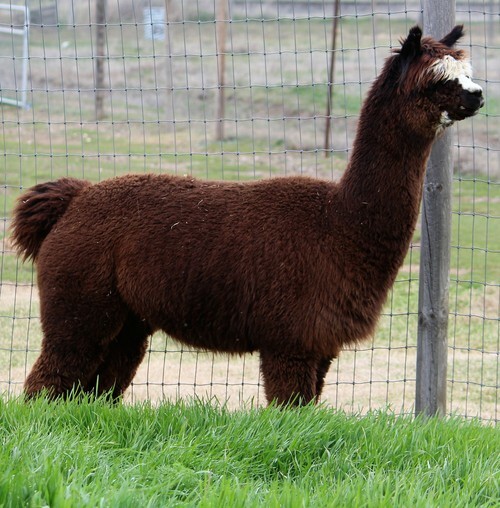 We are not liable for any loss of alpaca life due to any circumstances that may arise when boarded on our ranch.